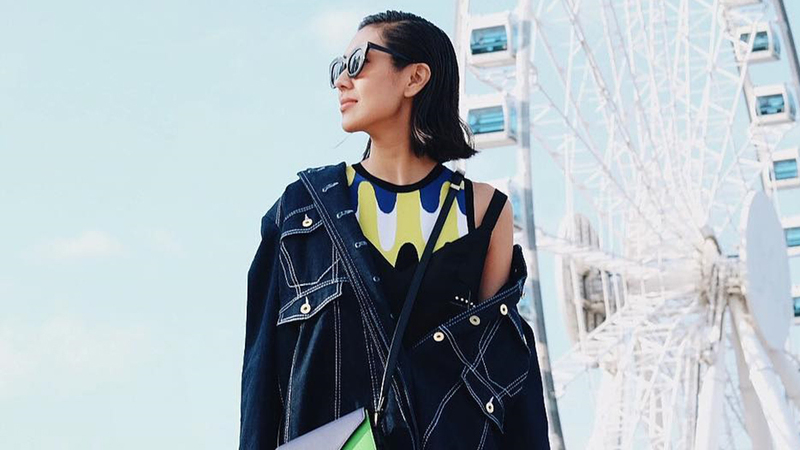 Unless you've been living under the rock, then you're probably aware how Liz Uy's been conquering the fashion scene by storm. 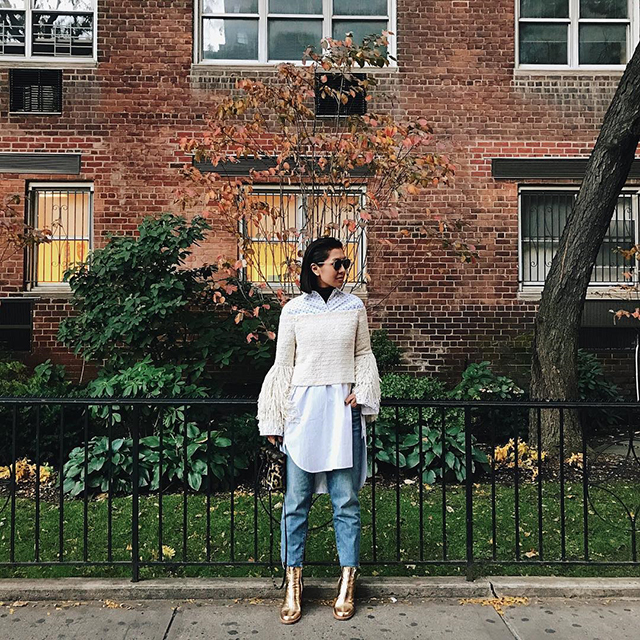 We constantly turn to her Instagram feed for style inspirations. 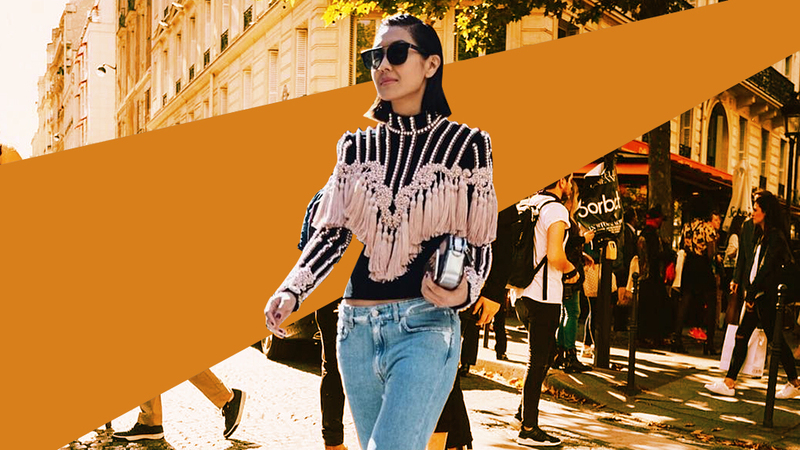 There’s just something about her personal sartorial choices that screams high fashion; and that said, we rounded up our favorite Liz Uy outfits that we'd so love to cop! Layering jackets is something that anyone can do, especially in cooler countries. But trust Liz to make a denim jacket look so chic over a trenchcoat. We think it’s the stark contrast between the two fabrics that makes this quirky combination work well together. Notice how Liz is actually wearing basic articles of clothing here, but still she manages to stay warm in New York's freezing winter. 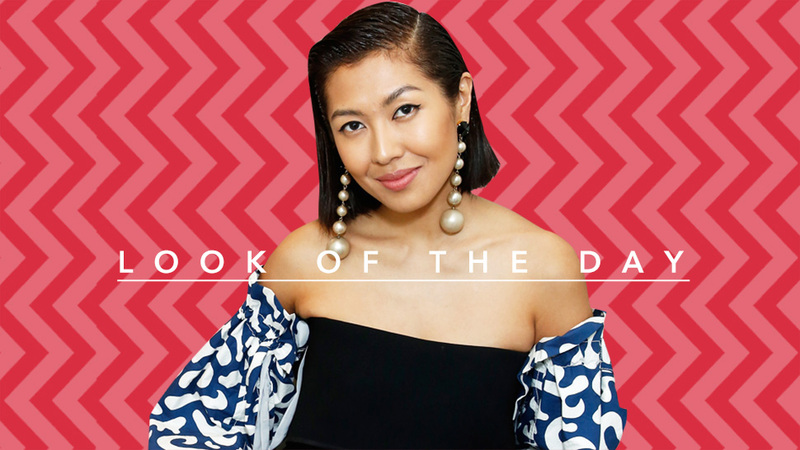 An off-shoulder top over an oversized button down over a turtle would have screamed chaos on a normal person, but Liz teaches us that it can work if you stick to a monochromatic color scheme. Add some statement shoes, you’re good to go! 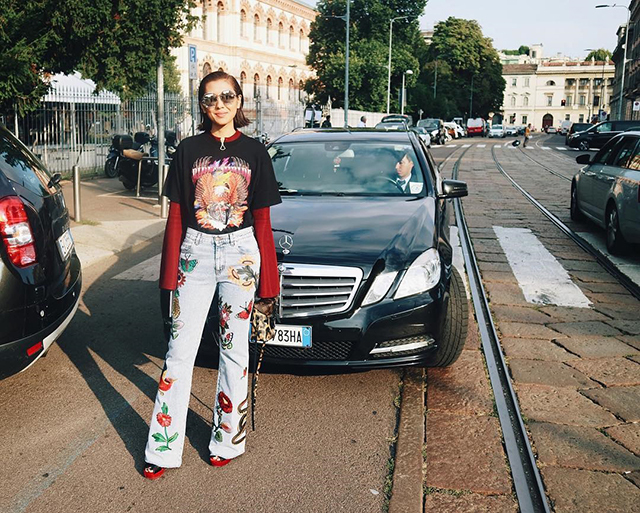 A rocker tee over a long sleeved top plus flared patched jeans? Only Liz in her slicked back hair can make this ensemble fashion week-worthy! She gives new meaning to the rocker chic style. 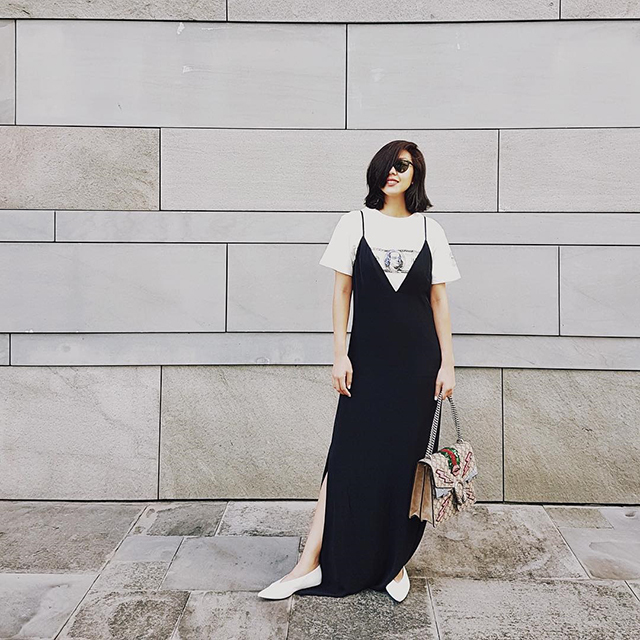 Here, Liz proves that it’s absolutely okay to repeat an outfit; just style it differently! 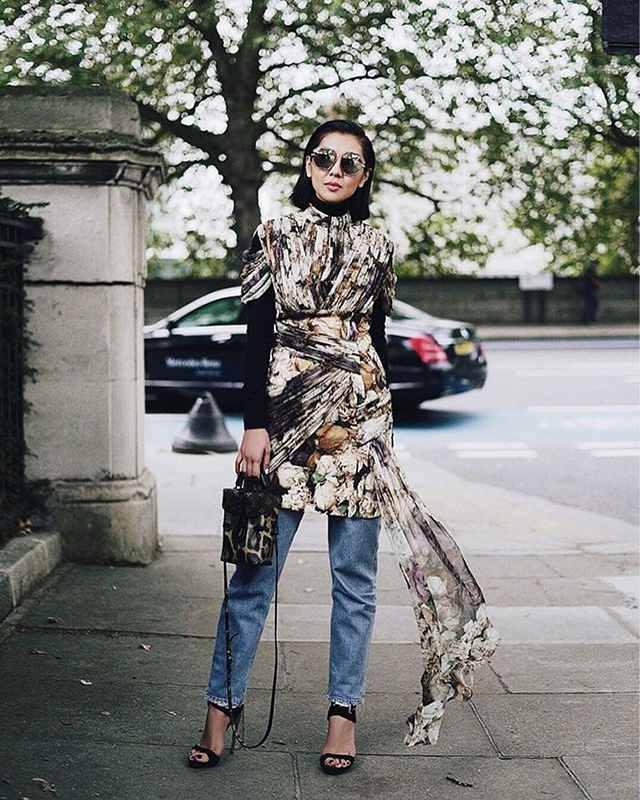 The simplest outfit combos came from the ‘90s, and Liz managed to put her own personal twist to it by choosing the right accessories (including your hair and makeup! ).